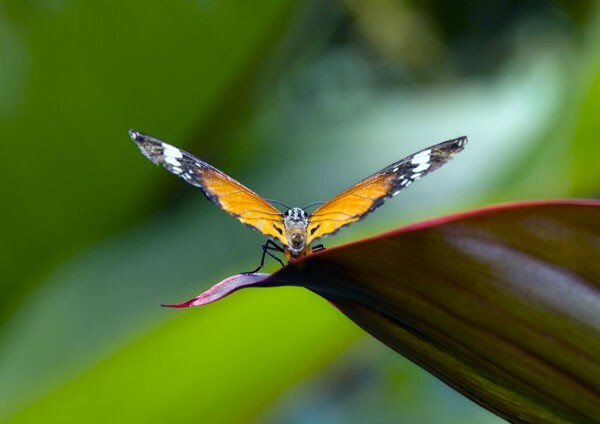 Canvas or poster printing with the bright orange colours of a Tiger Longwing Butterfly shining out against the softly hued greens of the rainforest. The wings of the Tiger Longwing Butterfly forming a beautiful v-shape as it sits motionless upon a leaf. This butterfly occurs from Mexico to the Peruvian Amazon.